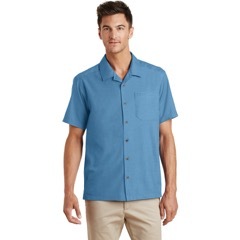 Bahama Joe’s offers a large variety of causal dress shirts that can be customized to screen print or embroider your custom design, business logo, or event. If you have questions about which type of dress shirt would be best for your business or event, contact us at (866) 433-0060 or email us at weborders@bahamajoes.com. Our friendly customer services experts are always glad to help. We can explain the difference in fabrics, styles and pricing.